I haven't acquired a new long gun in awhile and figured it was past time to do so. I looked at my rather long Wish List and decided it was either going to be a AR15NM or an AK47. 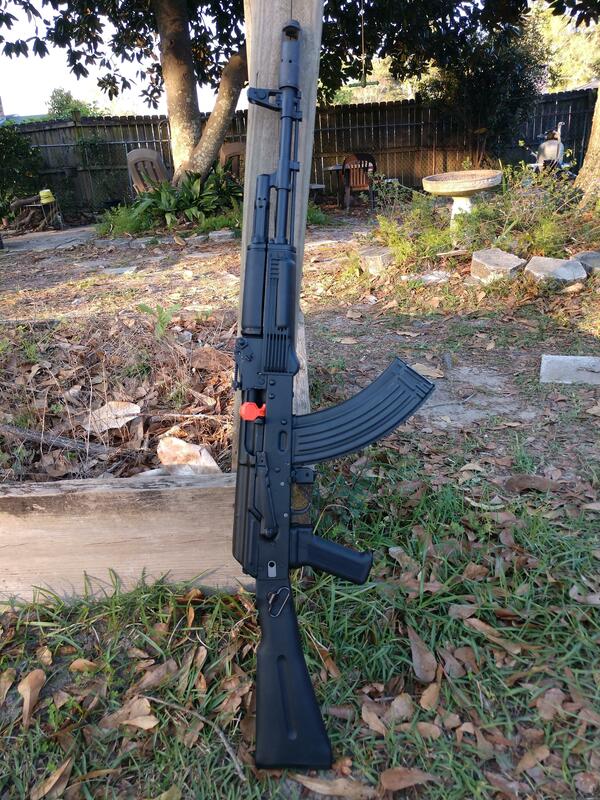 Several rifles caught my attention but i finally settled on a brand new Arsenal AK47 SLR-107FR. Top of the line Bulgarian stamped goodness, I'm happy as the proverbial pig knee deep in slops. 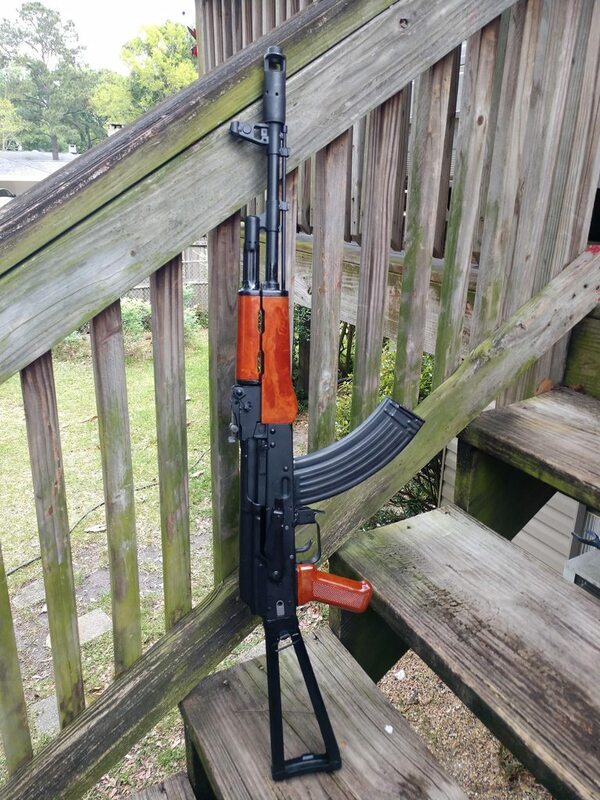 And here she is with the rest of my AK platform long arms. Decided I liked it better with a triangle and Bakelite furniture. My thanks to some of the guys in the AKFiles Marketplace. 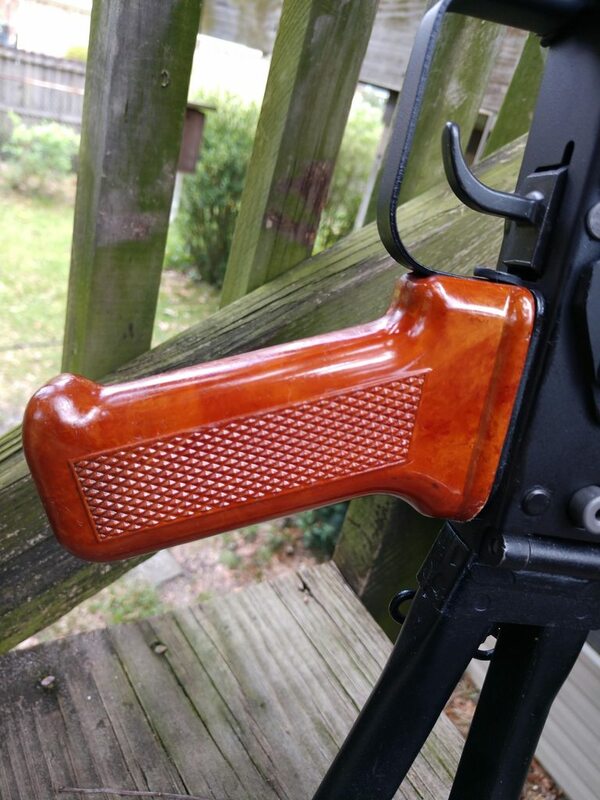 Now to find some nice Bulgy mags and bayonet in Bakelite. Loved it before, but really digging the new furniture. Very nice John. You need to come visit me south of BHam and we will put it through its paces on my range. Rifle plates out to 370 yds and an active pistol range with 11 plates to engage as you progress up hill through the woods. It is the least I can do to repay you for the shark fishing. Least you can do for sharking? Ha! That adjustable riser has me in your debt, least I could do would be to bring a case of Golden Tiger or M67. 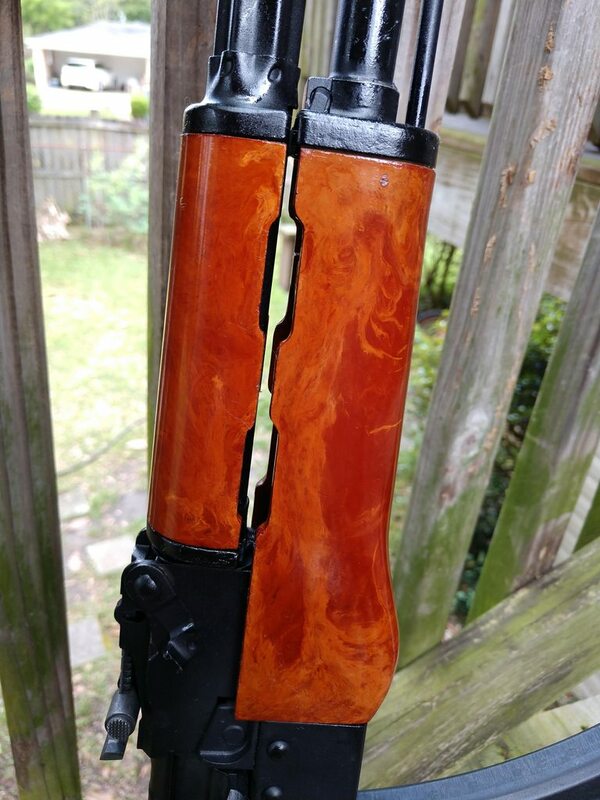 And the ver.21 for you to try out your handy work. I'd love to shoot with you on your private range some day, yes'sir. I've the SLR almost fully baked now. 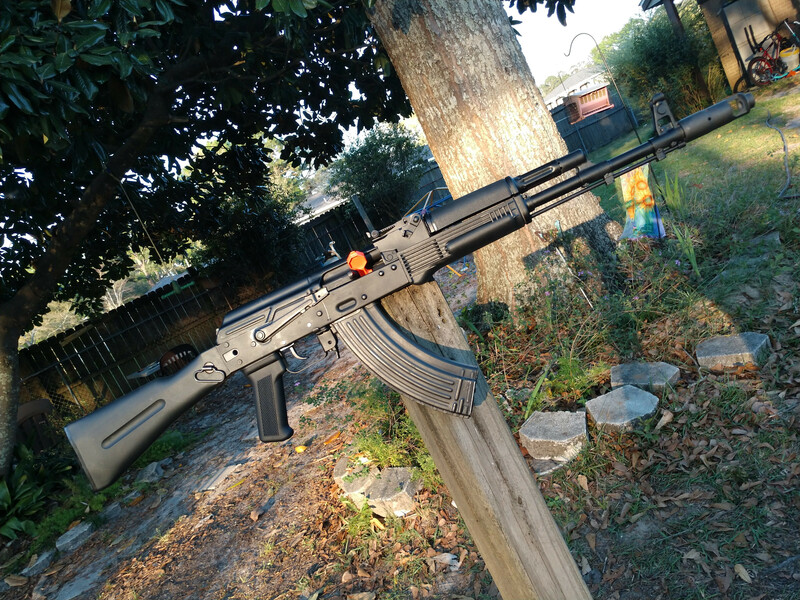 Picked up a real nice Bulgarian type 2 bayonet off K-Var and got an Izhmash 30rd Bakelite mag coming in the mail. 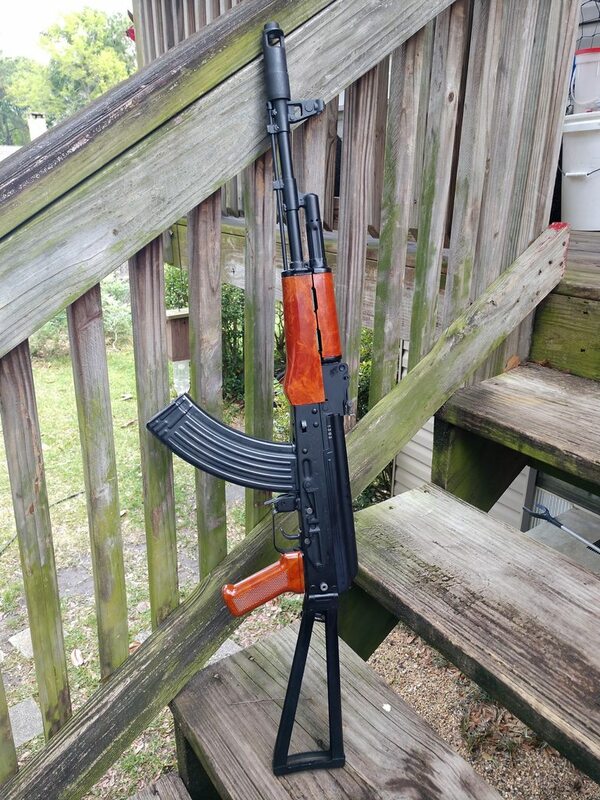 I always did envy some of the beautiful AKs dressed in Bakelite. Now I'm selling off all my sharking gear and a Russian SKS to afford the AR15NM too. I will give you a call the next time we head down to Mobile. Kayla is finishing up her Sophmore year at UM, and will be working down there over the summer. My mom lives in Daphne now as well, so we will probably make a at least a few trips down this summer. 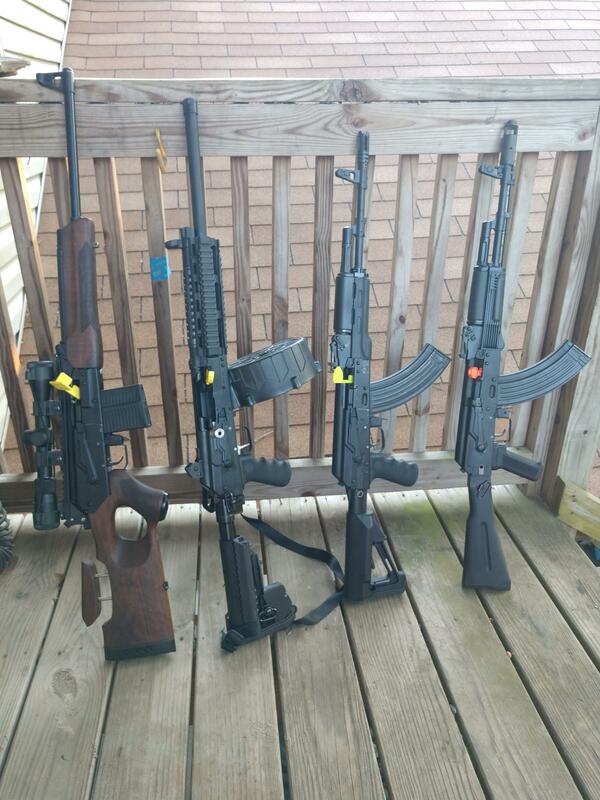 Had to give up the new gun addiction for a while....paying for college, a reliable used car for my youngest, a new 3 Ton HVAC unit for one that died, and a healthy check to the IRS all at one time has me on financial austerity at the moment. Anytime you want to make the trip just let me know. You can bring your family and stay on the property as we finished out the top of the barn. Even if you just want to get away a couple of days. Take care brother. Yeah, if I go sharking it'll be short drops with my 6/0 Wide in someone else's yak. Ouch... Life strikes again, BTDT.